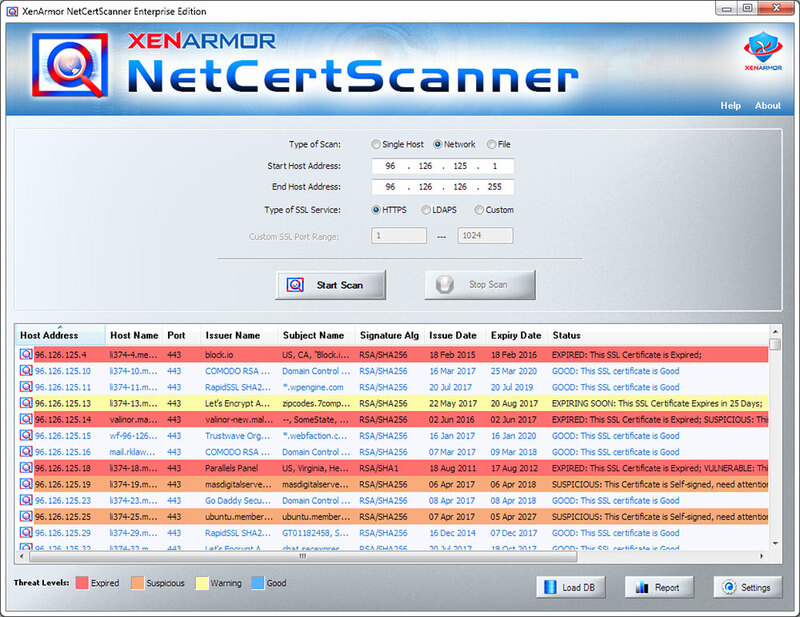 etwork SSL Certificate Scanner (NetCertScanner) is the enterprise software to find expiring/expired/vulnerable/rogue SSL certificates in your local network or internet. Major release with changes in Editions, Pricing & features. Now it supports for getting SSL certificate from old TLS v1.0/TLS v1.1 only SSL Servers.Added new scan report formats like XML & JSON in both GUI & command-line versions.